First Lutheran is investigating potential facilities upgrades and renovations to accompany our much-needed HVAC system installation. 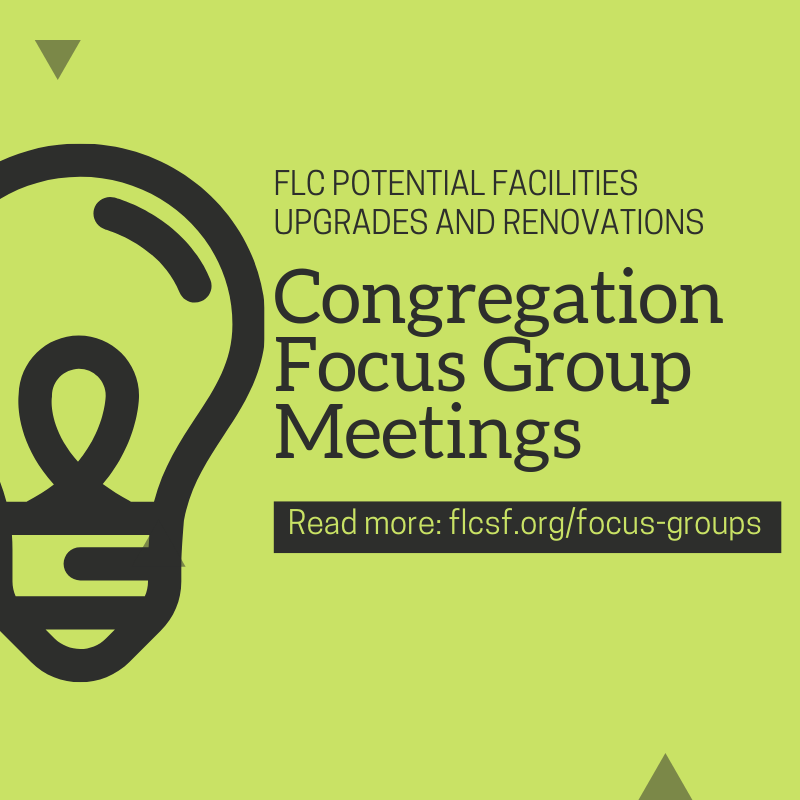 These potential changes have been discussed among church leaders who are excited to share this preliminary planning with the congregation. Your suggestions, questions, and input are vital in this process. Upcoming Focus Group meetings, held in the Friendship Room, will include presentations and question and answers sessions. Presentations will last approximately 20 minutes. You will then be able to ask questions and answer a brief questionnaire before concluding.